I will be traveling by train from Southern-Central California to the Bay Area today. I haven’t done that in a while, but I am somewhat looking forward to it. That will start my Thursday Thumbs Up today! Traveling by train. I used to travel by train a lot more in college. I haven’t done it in a while, but it just worked out to be convenient this time to get back to the Bay Area to help out my mom this weekend without having to make my husband and DD leave his parent’s house early. I’m looking forward to it. I love being able to get work done while traveling. Trains have plenty of space (versus an airplane, where I often feel cramped and restricted). I can work on my laptop, read, sleep, and enjoy the view at certain points. If the prices were more reasonable and the schedule more friendly from my hometown, I would choose to travel by train all the time. But, it is a little too expensive to do all the time (versus my hybrid car, especially for a family of three). But, it will be a nice change of pace. No medical procedure is perfect, but this one saved our daughter’s life. And because of that, the anonymous donor (who was also a child – we don’t know any information other than that) holds a special place in my heart. And the organ donation system is definitely personal to me! Awesome. Cooling. And just plain relaxing. I felt like I could have sat out there listening to it and watching it fall for HOURS! Unfortunately, some places had some flash flooding, but there were no injuries or serious damage that I heard of, so that is good. I do love me a good summer storm though. So, those are my Thursday Thumbs Up for this week. What about you? 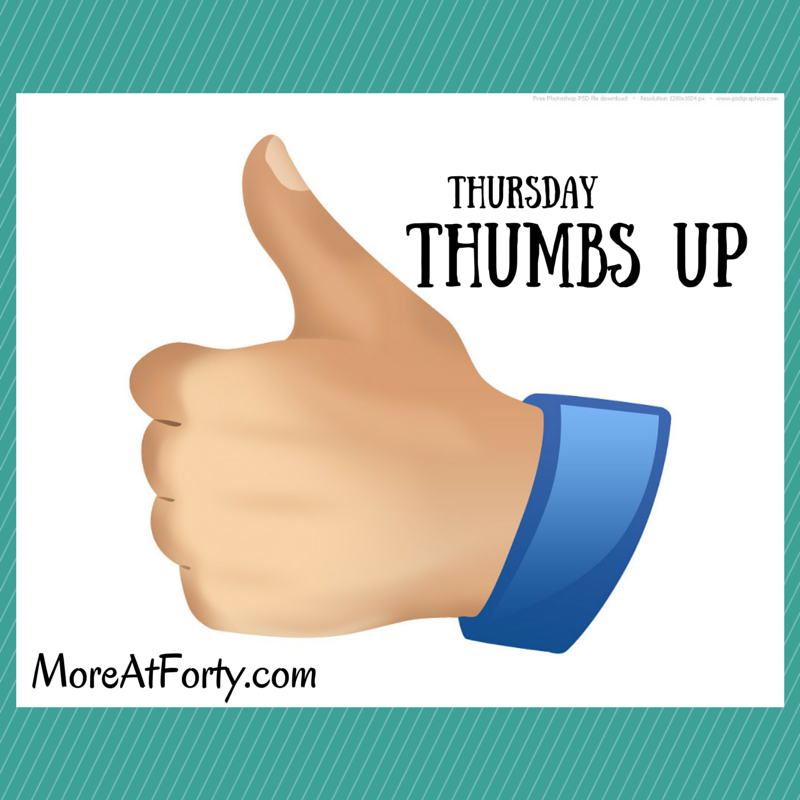 Anything you would give a Thumbs Up to this week?